Porsche collectors have ruined the market, let's go somewhere else. This might seem like blasphemy, but we're just going to come out and say what the whole automotive community is pretty much thinking, "we hate the 911 R!" Before we start receiving death threats in the mail from Porsche diehards, let us explain that our hatred has absolutely nothing to do with the car itself, which is damn nearly perfect. 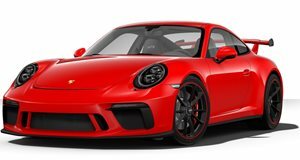 Our discontent lies with the insane prices that are being asked for what is essentially a GT3 RS with no aero and a different transmission. Obviously, Porsche isn't too happy about the insane markups either. Even though Porsche has come out and said that it's not a hedge fund, it continues to produce limited production cars that skyrocket in value, just like Ferrari does. YouTuber superspeedersRob has a great solution for how to fix this issue. The 911 R is an extreme example, with $1 million price tags on the high end, and $600,000 price tags on the low end. 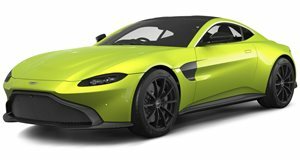 Luckily for all of the well-off people out there that don't quite have that level of cash to throw on a car, we have another limited edition manual car that we think is just as good as the 911 R. The 2017 Aston Martin V12 Vantage S was immediately compared to the 911 R when it was first revealed. Like the Porsche, the Aston Martin comes with a bespoke manual transmission, which is actually far more unique than the one used in the 911. The Vantage has a seven-speed manual, with a dogleg layout for the first gear. On the left-hand-drive versions, instead of first gear being towards the driver and up (like on most cars), first gear is towards the driver and down. This means than second and third gear (and all of the subsequent gears) are in a line, which makes shifts quicker in racing situations. The Aston Martin has a very special transmission, which powers a very special engine. The V12 Vantage S comes with a 5.9-liter V12 rated at 565 hp, which is about 65 more than the 911 R. Like the Porsche, the Aston is also limited production with only 100 units reaching the US. Even though they were all "sold out" we still found new ones for sale at the original MSRP. We thought that the Aston would be a close competitor to the 911 when both were new, but now that the market has been set on both cars, we think that the Aston is clearly the better car. Even the most expensive V12 Vantage S that we could find had a price of around $258,000. This is less than half as much as a (not really driven at all) used 911 R. Unlike the 911 R, which was only offered as a coupe, the Aston Martin also comes as a convertible, for those who like to show off a little. Even though there are only 100 units in the US, there seems to be plenty for sale right now, which does have us questioning why. If the car is so rare, why are there so many on the market? Even though the 2017 model year V12 Vantage S is special because of its transmission, it is not the first of its kind. Aston Martin has made this same car before, although it only came with a seven-speed automatic. Perhaps that's what's keeping this awesome car from exploding in value. We don't care if the manual is the only thing that makes this Aston different, the 911 R isn't that different either when you get right down to it, at least not to justify a $1 million price tag. For now, we will sooth our disappointment with the thought that we will never own a 911 R with the dream that we could "possibly" have the chance to own a V12 Vantage S some day. Porsche used to be the "attainable sports car maker" for those who couldn't afford a Ferrari or Aston Martin, but these days it seems like Aston Martin actually builds the "attainable" car.